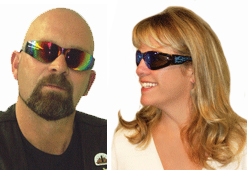 Riders Plus are awesome lightweight padded riding glasses that completely wrap the face to help seal out wind, rain & dust. 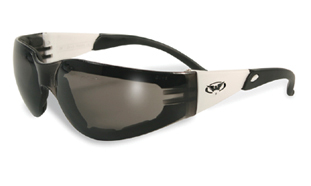 Manufactured from Impact Resistant Polycarbonate they are shatterproof and will keep the bugs out of your eyes. 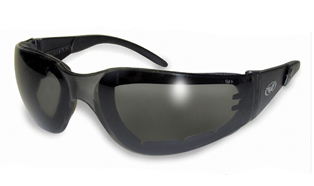 Though they are a solid piece they are a lot more durable than many other similar looking glasses. 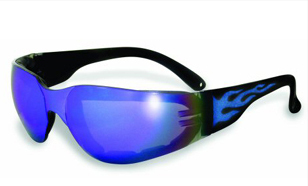 Riders are ANSI Z87.1 rated industrial safety glass strength wraps. 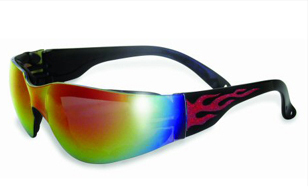 All that and UV-400 protection too!! !